The Pro-Ject Debut S/E3 is an impressive continuation of Pro-Ject's ongoing philosophy of high-quality Hi-Fi at an affordable price. The Debut S/E3 takes the established design of the iconic Debut III turntable, but innovates and improves on almost every aspect to make an even better deck with a fantastic sound. The UK-exclusive Debut S/E3 effectively became a bridge product, which helped turn the Debut III into the even more successful Debut Carbon. However, because of the amazing price of the Debut S/E3, it still warrants its own place in the range today. Compared to the standard Debut III, the Debut S/E3 boasts an improved cosmetic; with its high-gloss platter and larger 12" metal platter. Around the motor, the Debut S/E3 was also the first to use Pro-Ject's innovative decoupling motor blobs, which effectively absorb and eliminate motor vibrations before they can interfere with the music. The Debut S/E3 tonearm is the same as on the standard Debut III, but the improved sapphire bearings and pre-installed Ortofon OM 10 Super cartridge allow for an even better performance than ever before. Finally, the introduction of a junction box on the back panel means as you improve the turntable further with upgrades, you can also improve your all-important cables. The Debut S/E3 truly represents an enviable combination of sound quality and affordability. Like all other Debut models before and since, it really is an icon in its own right. Verdict: "The attractive and versatile Debut S/E3 is a fine buy." 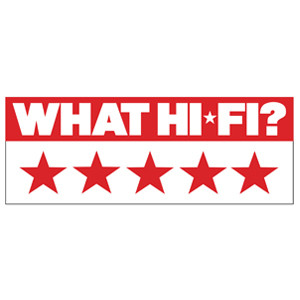 Click here to read the full review at What Hi-Fi? "I put on Air's 1998 LP 'Moon Safari'... The easy-going rhythms and gentle excursions into electronica seemed suited to the Debut SE. It trawled enough detail to satisfy the audiophile, and at the same time, retained that difficult-to-define essence of musicality which encourages the listener to play record after record." "Overall I found it [the supplied Ortofon Super OM10] to be a very good device that complemented the Debut III S/E, and would certainly be at home in more expensive surroundings." "Overall, a strong performance at the price, which given the small cost difference between this and standard Debut III, make the S/E model something of a bargain... Compared to a stock Debut III the sound was more solid and a bit better shaped."